Elegant old-style homes with all the luxury of new construction await you at the Village at Autumn Lake. Enjoy a gourmet kitchen, with granite countertops and stainless steel appliances any chef would love. Choose details like classic wood flooring, iron railings for the staircase and more. Autumn Lake is the centerpiece of the neighborhood. Enjoy lakeside fishing, the walking path, and the lakeside pavilion. Our neighborhood is located near all the amenities of town, but is so quiet it feels like a world of its own. Enjoy low-maintenance living in our spacious, luxury townhomes and villas in the Cottages at Autumn Lake. Our cottages and villas feature stunning kitchens with modern touches. Open floor plans make our spacious homes feel even larger, and are perfect for entertaining. Welcome home to a peaceful, quiet neighborhood where you can relax and unwind. You’ve earned it. Community pools, playgrounds, a fitness trail and more – Autumn Lake offers great amenities for the Village and the Cottages. 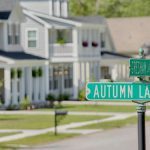 New Homes in Savannah: The Village at Autumn Lake features old-style homes in a charming southern Savannah setting, but with all the ease and convenience of new construction. Lovely porches and patios encourage a connection with the outdoors and with neighbors. Magnificent live oaks and green space provide a beautiful backdrop to your new home. Have a picnic at our lakeside pavilion, or kick the soccer ball with the kids in one of the community parks. The pool, sidewalks and playground make our neighborhood very family-friendly, all within minutes of downtown Savannah. Town homes and Villas in Savannah: The Cottages at Autumn Lake offer upscale townhome living. Our standalone villas and town homes feature open floor plans, with living areas flowing into the dining room and gourmet kitchen, with room to spread out but stay connected. The neighborhood offers a club house with fitness center, swimming pool, walking trails and a freshwater lake stocked for fishing, all within an easy drive to shopping, restaurants, the airport and downtown Savannah. Stop mowing your lawn and start enjoying the Cottages at Autumn Lake. Savannah, GA New Cottage Style homes and efficient townhouses. 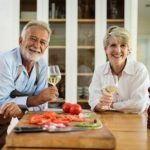 There’s a new trend growing in communities across the country, as singles and couples in their mid-fifties look for neighborhoods well-suited to an active adult lifestyle. The Cottages at Autumn Lake are an ideal choice for the 55+ crowd. So you’d love to have the convenience of a townhome, with very little maintenance and lots of community amenities, but you don’t want to share walls with your neighbors… Are you out of luck? Not in the Cottages at Autumn Lake, where we offer standalone villas. If you have school-aged children and you’re considering a move, it’s likely you want to time the transition so that it doesn’t interrupt the school year. Now would be the perfect time to come view the home sites we have available in the Village at Autumn Lake. You can choose your lot, then select the right floor plan for your family, and we’ll start construction on your dream home right away.